Dried Purple Urchins Around 1 3/4" To - 2"+ small to large. 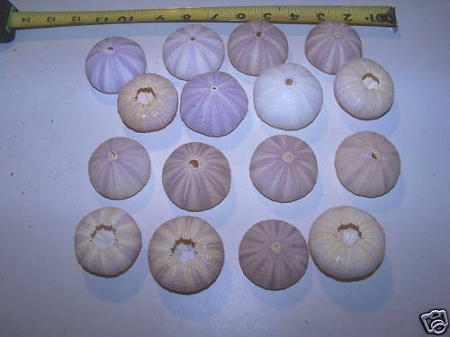 This is a bulk lot of purple urchins. These bags are unsorted, tints will and do vary from light to darker tints and may have stains. They can be painted to any color tint you desire with any spray paint. We ship them to you the same way they come in a bulk box or bag plus we add extra in lots of 25 or more. This item is available in the Multiple Quantities listed. This is a super fragile item. 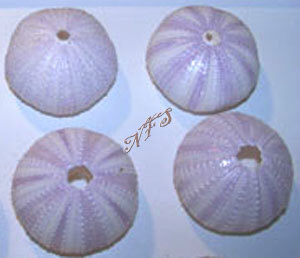 These urchins are one of the most popular with our crafters, wedding planners and collectors. Great to use in Crafts, Wedding, Decorations, Christmas and more! Free standard shipping! This is a super fragile item damage may and does happen in shipping. Buyers buying this item to be shipped do so at there own risk and we suggest you pay insurance or ship the order with ups to be covered for any damage. Great Urchins! Thanks for the extra. You are the Bomb!